Two vacuum units with advanced technology are fully accredited- Vacuum Pump - EVP Vacuum Solution! Our company has been doing research and development on advanced technology. Recently, we took advanced technology to produce two new liquid ring vacuum units, “composite materials water ring vacuum unit” and “intelligent remote monitoring water ring vacuum unit”, in order to meet new demands of customers. Before to put them into the market, we asked Zibo Science and Technology Bureau to appraise. 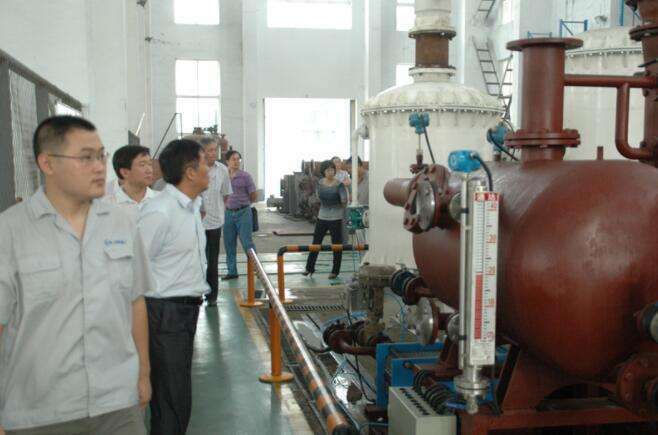 Domestic experts in vacuum pump industry were invited and a appraising commission was organized. They made a large number of analysis and tests on the spot in our factory, held lots of meeting to discuss, and confirmed at last these two vacuum units, “composite materials water ring vacuum unit” and “intelligent remote monitoring water ring vacuum unit”, proved qualified. Both two projects have been recognized by experts, which is a big step in our vacuum technology development.